Kenneth Prewitt is the Carnegie Professor of Public Affairs at Columbia University’s School of International and Public Affairs and Vice-President for Global Centers. Professor Prewitt interrupted a career in higher education and philanthropy to serve for two years as the Director of the Census Bureau, where he oversaw the preparation for and execution of Census 2000, what some have described as the “largest peacetime mobilization in history” but what he prefers to label as the nation’s longest continuous scientific project. He has previously served as Dean of the Graduate School of New School University, President of the Social Science Research Council, and Senior Vice-President of the Rockefeller Foundation where he had responsibility for the foundation’s Science Based Development Program based on agriculture, health, population, the environment and education in the less developed countries. 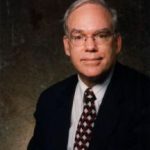 Prior to that he taught political science at the University of Chicago, where he also served five years as Director of the National Opinion Research Center. He has taught at Stanford, Columbia, Washington University in St. Louis, the New School, Makerere University (Uganda), and the University of Nairobi. His current research, funded by the MacArthur Foundation, includes the consequences of racial measurement for racial Identity, racial politics and public policies that advance real justice. The project has established a small working group of scholars focused on the implication of recent changes in the nation’s official racial classification system, with particular attention to the introduction of the multiple-race option in the census of 2000. The project has resulted in a number of presentations in academic and association venues, as well as several publications. The key argument of these works is that the nation’s racial classification system is at a point of unprecedented instability and uncertainty, and thus, necessarily, are the public policies and institutional practices that depend upon it. He is currently completing a book on the subject, Counting the Races of America: Do We Still Need To? Do We Still Want To? Professor Prewitt has served on the Boards of a number of non-profit and academic institutions, including two universities, the American Academy of Arts and Sciences, the Center for Advanced Study in Behavioral Sciences, and the German-American Academic Council. His honors include an Officer’s Cross of the Order of Merit from the Federal Republic of Germany, a Guggenheim Fellowship, and honorary degrees from Southern Methodist University and Carnegie-Mellon University. He is the author or co-author of a dozen books and numerous articles and essays, and coeditor of the public policy section of the International Encyclopedia of the Social and Behavioral Sciences. Dr. Prewitt’s publications include The Hard Count: The Political and Social Challenges of Census Mobilization (2006), Politics and Science in Census Taking (2003), Introduction to American Government (6th edition, 1991), and “The U. S. Decennial Census: Political Questions, Scientific Answers,” Population and Development Review. He has authored and coauthored a dozen books and more than 100 articles and book chapters. He received a B.A. from Southern Methodist University in 1958; an M.A. from Washington University in 1959; an M.A. from Harvard Divinity School in 1960; and a Ph.D. from Stanford University in 1963.